Landlord & Tenant. Valid in Your State. Quick Download. Documents used by landlords and tenants when renting and leasing any residential or commericial property. Our attorneys have carefully drafted and reviewed all of these forms to ensure compliance with the laws, giving you the benefit of their expertise without the exorbitant costs of hiring your own attorney. For use by landlords and tenants in leasing/renting situations, including authorization to make alterations, offers to lease or renew the lease. Lease, subleases, extensions, termination agreements and occupancy agreements for commercial properties. Leases and Rental Agreements for the leasing of vacant land, farm or unoccupied lot to another. Agreements used to extend a lease term while ensuring that all other lease terms will remain the same. For use when contracting with movers for personal or business relocation. Forms that may be used for providing notice to tenants for various reasons like overdue rent, need to inspect property and a number of other situations. Forms for use when a property owner desires to engage an individual or company to operate and manage a residential or commercial property. Various receipts for use when renting or leasing a property including security deposit and monthly rent receipts. Forms for use when renting residential property including leases for a house, furnished or unfurnished apartments, room within a home, month-to-month leases and more. For use by both landlords and tenants when dealing with security deposit issues such as providing or requesting a deposit refund. Spanish forms for use by landlord and tenants including lease agreements, rental applications and notices regarding security deposits. Contract between the owner of a storage space and an individual who desires to rent the space. Designed for use by tenants when dealing with issues related to the property they are currently renting. Commercial Lease Agreement Form used to rent commercial real estate, such as a store, office or warehouse, to a tenant. Commercial Sublease Agreement Form used to sublease commercial property like a store, office or warehouse. House Lease Agreement Document allowing a Landlord to rent a residence to a Tenant. Month to Month Lease Agreement which allows a Landlord to rent a residence to a Tenant on a month-to-month basis. Notice to Quit A written notice from a Landlord to a Tenant who has failed to comply with an obligation under the lease. Residential Lease Document that allows a Landlord to rent a residence to a Tenant. Residential Lease (with Option to Purchase) This form allows a Landlord to rent a residence to a Tenant and gives the Tenant an option to purchase the property. Residential Rental Applications Used to request information from a prospective Tenant and grants the Landlord the right to perform credit and other background checks. Authorization to Make Alterations - Conditional This Authorization allows a tenant to make alterations to a rental property conditioned upon the approval of the landlord. Landlord Undertaking with Tenant Lender Agreement between a landlord and a tenant's lender by which the landlord agrees to notify the lender of tenant's default. Offers to Lease Official offer from a prospective tenant to a landlord of commercial property. Option to Renew Leases Agreeement between a landlord and tenant who desire to continue a lease after its expiration date. Subordination Nondisturbance and Attornment Agreement Agreement is between a tenant, a landlord and one lending money to the landlord and sets forth that tenant's interests are subordinate to that of the lender. Commercial Lease Extension Agreement This Agreement will extend the terms of an existing commercial lease without the landlord and tenant entering into an entirely new lease. Commercial Lease Termination Agreements This agreement terminates a commercial lease before the expiration of the lease term. Commercial Sublease Agreement (Partial) Agreement used to lease part of a commercial property. Commercial Sublease Amendment Agreement Designed for use when a commercial tenant wants to sublease part, or all, of a commercial property to another for a portion or the remainder of the lease period. Occupancy Agreement Agreement between a provider of office space and an occupant that will use a portion of the space for business purposes. Office Lease Agreement Allows a Landlord to rent an unfurnished office to a tenant. Salon Station Lease Agreements For use by salon owners to rent out salon stations or booths. Farm Lease Agreement Comprehensive farm lease agreement to be used when renting / leasing farming property. Hunting Lease Agreement An agreement between a property owner and an individual/entity to rent a tract of land for the purpose of hunting. Amendment to Lease Agreement used by landlords and tenants to amend a lease. Lease Extension Agreements (English) Form used to provide an extension to a lease agreement. Service Agreement (Mover) Moving Services Agreement for use in all states. Notice of Assignment of Lease Document used to give notice that a lease has been assigned. Notice of Default Notice informing person or entity that they are in default of a contract obligation for use in all states. Notice of Denied Application By this notice, a landlord may inform a rental applicant that their application for rental has been denied. Notice of Exercise of Option to Renew Lease Notice from Tenant to Landlord of Tenant exercising his/her option to renew the lease and extend the lease term. Notice of Lease Termination Notice by Landlord to Tenant terminating a month-to month tenancy. Notice of Service Performed Noticed used by a landlord to inform a tenant that certain service has been performed on the rented property. Apartment Lease This form allows a Landlord to rent an apartment to a Tenant. Apartment Lease - Furnished Used by a Landlord to rent a furnished apartment to a Tenant. Room Lease Agreements Agreement that allows a Landlord to rent a room to a Tenant. Room Lease Agreements - Furnished Allows a landlord to rent a furnished room to a Tenant. Sublease Agreements This Agreement allows a tenant to sublease part or all of his dwelling. Vacation Property Rental Agreements Agreement used to rent out a vacation property to a tenant. Security Deposit Demand Letter Letter for use by a tenant when demanding that a landlord return a security deposit. Residential Lease Agreements (Spanish) This document, in Spanish, allows a Landlord to rent a residence to a Tenant. Fixed Term Storage Lease Agreements Storage Lease Agreement for a Fixed Term. Month to Month Term Storage Lease Agreements An agreement between the owner of a storage space and another person for the lease of storage space on a month to month basis. Property Storage Agreement between an owner of an article or goods and a storage provider of articles or goods for the storage of such articles or goods. Warehouse Lease Agreement Form that allows a Landlord to rent a warehouse to a Tenant. Mutual Lease Cancellation Letter Mutual Lease Cancellation Letter which will effectively cancel an item lease per mutual agreement. This letter can easily be tailored to fit your unique needs. Reimbursement Request to LandLord This Reimbursement Request to Landlord will effectively request reimbursement for repairs made by a tenant. This letter can easily be tailored to meet your needs. Mover's Forms Combo Packet Get 2 forms for just $39.95. Save -0%! Save money by purchasing the Moving Services Agreement and Mover's Inventory Form together in a convenient packet. For use in all states. Residential Lease Notice Forms Combo Packages Get 9 forms for just $39.95. Save 71%! The notices Landlords most often use, together in a convenient packet. Premier Residential Lease Combo Packages Get 11 forms for just $39.95. Save 76%! Contain the forms most frequently used by landlords who rent residential property. This combo contains lease agreements (including extension and termination forms), consents to sublease and notices... Lease to Own Combo Packages Get 11 forms for just $39.95. Save 78%! Instructions and forms, drafted by experienced attorneys, to rent a property with an option to buy. Kit contains some of the most popular forms used when leasing to own to make sure you set forth the terms... Landlord Tenant Letter Forms Combo Package Get 5 forms for just $12.50. Save 66%! Save Money by getting our popular Landlord/Tenant Letter forms together in one convenient packet. Commercial Lease Combo Packages Get 8 forms for just $39.95. Save 75%! Save money by getting our most popular commercial lease forms together in one convenient packet. Landlord & Tenant Forms Combo Packages (Spanish) Get 6 forms for just $39.95. Save 65%! Our most popular Landlord and Tenant forms in both Spanish and English. Commercial Sublease Combo Packages Get 3 forms for just $39.95. Save 33%! This combo package contains some of the most popular and frequently used commercial sublease forms. Residential Sublease Combo Packages Get 2 forms for just $39.95. Save -0%! This package contains some of the most popular and often used residential sublease forms. Purchasing this combo package will save you not only time and money but you will have the right forms you need at... Basic Residential Lease Combo Package Get 7 forms for just $39.95. Save 65%! Designed for use by landlords containing an array of forms and documents used by residential landlords. This Package includes model application, lease agreement, move-in/move-out inspection checklists,... Month to Month Lease Combo Packages Get 9 forms for just $39.95. Save 73%! Forms most frequently used by landlords when renting to tenants on a month-to-month basis. Room Lease Agreements Combo Package Get 10 forms for just $39.95. Save 74%! 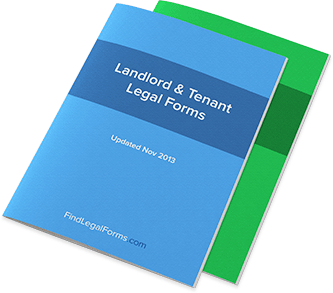 The forms most frequently used by landlords when renting a room to a tenant. Apartment Lease Combo Package Get 9 forms for just $39.95. Save 71%! This Package contains the forms most frequently used by landlords when renting an apartment to a tenant. Vacation Rental Lease Agreements Combo Package Get 7 forms for just $39.95. Save 68%! This Form Package contains the forms frequently used by landlords or property managers when renting a vacation property. What are the legal issues surrounding the landlord-tenant relationship? The landlord-tenant relationship is one that, well-protected by established laws and a grounding of legal contracts, can produce a win-win situation for all parties involved. Tenants always need to find good landlords and landlords always need to find good tenants. The truth, of course, is that neither landlords nor tenants are always 100% committed to meeting all of their legal responsibilities. That’s why the majority of legal issues surrounding the landlord-tenant relationship tend to focus on the honoring of contracts. Residential leases, for example, make up the bulk of the legal grounding for this relationship; failure to honor the lease agreement on either end can result in serious legal action being taken. Additionally, both tenants and landlords have to work to ensure that they meet all state regulatory burdens in their relationship with one another. What legal issues do landlords need to worry about? While the tenant’s focus is mainly on honoring the residential lease agreement, a landlord’s problems can be more complicated. In addition to honoring local ordinances and regulations, most landlords and property managers have to deal with a surprising amount of paperwork to ensure that all of the work they do is effectively tracked and that all contracts they sign (with contractors as well as tenants) are properly honored. Collecting rent payments through lawful means can be a source of worry for many tenants, especially as they have their own expenses and bottom line to worry about. Additionally, landlords need to make sure they follow protocol when evicting poorly-behaving tenants, such as by keeping track of notices to vacate and honoring the residential agreement. What legal issues do tenants need to worry about? Most tenants need to focus on two things in regards to the property they are renting: honoring the residential lease agreement and honoring the local laws. Interactions with “bad” landlords, of course, can force many well-meaning tenants to find legal recourse to their complaints. For this reason, tenants should be just as vigilant in maintaining their agreement records and in filing formal complaints the right way. An additional concern for tenants could be the subletting of their apartment wherein the tenant then becomes a landlord of sorts. Juggling paperwork between one’s own landlord and one’s tenant can be difficult, which is why even tenants should be aware of all legal forms involved. What are some common legal forms governing the tenant/landlord relationship? Residential Lease Agreement: Essentially the life-blood of the relationship, this contact between the two parties will form the basis for any future legal action between the two. It will explain the responsibilities each party is expected to live up to (including maintenance of the property and on-time rent payment). Lease Termination Agreement: On the other end of the spectrum is the lease termination agreement in which a lease is mutually agreed to come to an end by both the tenant and the landlord, usually by one party’s specific request. Having an agreement that corresponds well to the original residential lease agreement will be important in maintaining legal consistency. Notices: Common notices like Notice to Vacate and Notice of Intention to Enter come from the landlord and serve to alert the tenant about upcoming action that pertains to their residential lease agreement. Ensuring that these notices are properly filled out and do a good job of alerting the resident is important. Of course, there are more contracts that govern the landlord and tenant relationship, but these are three of the most common examples and categories of contracts. I’m thinking of becoming a landlord. What forms do I need? In reality, you need a combination of forms, including the forms listed above and other forms you may not have thought of, including documents like the Move In / Move Out Checklist or the Notice of Return of Security Deposit. As you’ll be using these forms over and over in your career as a landlord, it’s important that you have these forms handy whenever the situation calls for them. There is very little a landlord should not be able to handle outside of these forms – and using them consistently will be a good way to not only demonstrate that you are serious about being a landlord, but that you have a foundational understanding of legal groundwork. How important is it to document everything? Very important, no matter whether you’re a tenant or a landlord. For example, if you’re a tenant and you have a complaint to make, you should keep track of it so that you know when the complaint was first filed against the landlord and when it was finally addressed. You’ll also want to keep track of any violation of your residential lease agreement so that you can properly contest these violations and ensure your landlord will honor the agreement. From the property manager’s point of view, documentation is similarly important. Not only will you be better able to control your property properly if you can use the residential lease agreement to demonstrate reasoning behind actions such as eviction, but you’ll be able to diffuse most problems before they’re allowed to fester. I have to terminate the lease of my tenant. How do I do it? Assuming that a tenant violated part of a residential lease agreement that warrants lease termination, you can use a lease termination form that suits your needs. It’s important that you track these violations in order to provide the appropriate amount of legal backing to your decision, but ultimately, once you’re fully grounded legally, you’ll be able to better control your property. My landlord is stringent about the lease agreement. How do I find flexibility? If both you and your landlord have honored the lease agreement, there’s actually very little recourse if you want an exception to be made. It will depend on your individual relationship with the landlord, but it’s better to be safe and follow the rules.